You can adjust the print bed with a piece of paper and some feeling. But would you feel comfortable in an airplane where essential components were adjusted only with feeling? I would rather not do that. 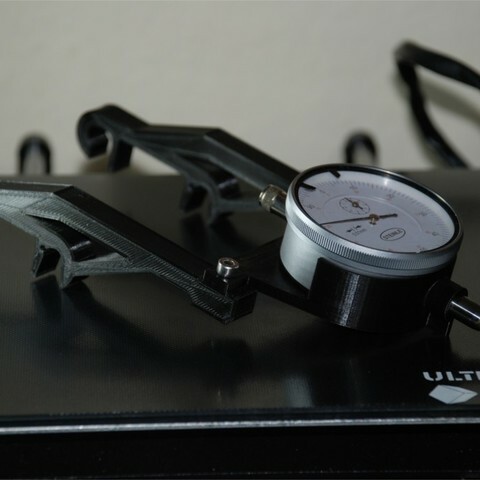 That's why I designed this dial gauge holder for my Anycubic I3 Mega. It is dimensioned so that the measuring tip sits [nearly] perpendicular below the nozzle. 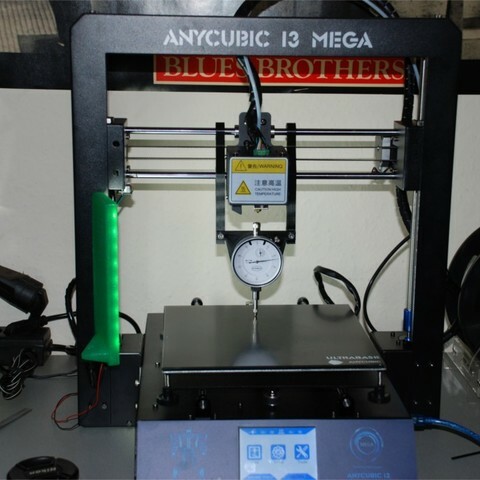 For installation, the print head must be at a height of ~120mm. Additionally required are two screws M4x16 + two nuts.